This manufacturer has expired. 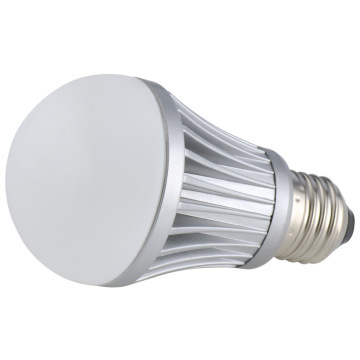 Here is other LED Bulb you might be interested. Office, residential house, shopping mall, exhibition hall, restaurant, bars, etc. 1. Fine Quality: Materials are carefully selected before production. Inspection is done after every production line. Most of our products have UL, CE, Rohs, PSE certificates. 2. Super Brightness: Good LED chips with high brightness are adopted. The lumens efficacy can be 90lm/W for LED bulbs and 100lm/W for LED tube lights. 3. Continuous Improvement: Our technicians continuously improve the LED lamps to meet the market needs. 4. Timely delivery: Usually, mass goods can be delivered in 15 days. If products are needed urgently, we’ll try our best to make the delivery time shorter. 5. Superior Service: Your questions will be answered within 24 hours. Zhejiang Finetouch Electronic Technology Co., Ltd was found in 2007, focused on innovative digital locks for years. There are two brands of digital locks: Koachi and Finetouch. With industry-leading design team, automatic production base and timely service dept, Koachi has accomplished its great success in both market and technology. More and more Luxury villas and offices have chosen Koachi as their guard and housekeeper.To bring technology and convenient to every house is the ultimate objective of Koachi. Digital lock was first rose in Korea. Koachi started its career as an introducer. We import these new guard spirits to our homeland to serve our people better. Years of experience, we have improved and developed much better technology to fulfill our domestic market. More and secure, more convenience, only less on cost.Now with the same goal but much more splendid creation, Koachi set sail to the world. Unlocking the future!